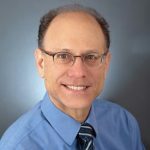 Endocrinologist Dr. David Ludwig joined Dr. Daniel Amen, bestselling author and psychiatrist, on his web series Brain Warriors to talk about his research, his book Always Hungry?, and the hidden components of our diet that are making us fat. Dr. Daniel Amen: In the book you give lots of stories of success, of people who’ve not only lost weight, but also decreased their anxiety, improved their moods, improved their cognition. As I often say, “Food is medicine, or it’s poison.” Your brain is the most energy hungry organ in the body. If you don’t feed it right you’re not going to think or feel right. What were some of the big “aha’s” and practical things that people can take away, the things you tell your own patients? Dr. David Ludwig: Let’s start right where you targeted the brain. The brain is a very hungry organ. In the resting state when we’re not moving around, it uses about one in three of all of the calories that we burn. A temporary interruption in the energy supply to the brain, just a second, would lead to loss of consciousness, coma, seizure, and death, if that persists. For that reason, the brain has developed extraordinary systems to protect its fuel supply. These are primordial systems, and they are redundant, and they are very powerful. They’re more powerful than our conscious mind. By understanding this, you can actually get the whole picture of what the obesity epidemic is about, and why people gain weight. What’s happening is that overeating doesn’t make you fat, not over the long term. The process of getting fat makes you overeat. Yes, you could force feed yourself — people have done clinical trials where volunteers are force fed 1,000 extra calories a day, and they’re going to gain weight temporarily. Then what’s going to happen? Their appetite vanishes, their metabolism speeds up in the body’s attempt to burn off those calories. Once the study’s done, their weight predictably comes right back down to where it started. If that’s the case, why are we gaining weight? I argue and I try to show this step-by-step that something has triggered our fat cells to hoard too many calories. They’re supposed to take in a certain amount. Every tissue in the body, the brain, the muscles, the liver, is supposed to take in a certain amount of energy. Something has triggered our fat cells to become unruly, and to no longer cooperate with the rest of the body, no longer share — they’ve become like spoiled children. We think of obesity as a state of excess, too many calories and fat cells, but that’s not the underlying problem. It’s too few calories in the bloodstream to feed the needs of the brain, and the rest of the body. The brain perceives that and does what it’s supposed to do, it makes us hungry, and it makes us crave. Those are two different parts of the brain, a hunger center and a craving center. Hunger is not a fleeting feeling. It’s a primal, biological signal that’s very difficult to ignore, even in the short term, even harder to ignore over the long term, and if you try to your brain has further tricks, it slows down metabolism. This combination of rising hunger and slowing metabolism on a standard diet is a recipe for failure. If you cut back calories as you’re told to in the calorie balance model of obesity, you only make that situation worse. Yes, you can lose weight for a short while, but your body’s going to fight back. Over the long term, you aren’t going to keep the weight off. That’s why all of these low-calorie diets are so poorly successful over the long term. I argue the main problem is all the processed carbohydrates that have flooded our diet during the low-fat years. Not just the added sugar, but the white bread, white rice, potato products, prepared breakfast cereals. These raise insulin levels, calorie for calorie, more than any other food. That insulin is like Miracle Grow for your fat cells, not the kind of miracle you want to happen in your body. We’ve got to treat the source of the problem, and then body weight can start to come down with your body’s cooperation, not with your body kicking and screaming. Daniel: When I was reading your book, I actually wrote in the margin: Starve yourself fat. As you’re starving yourself fat, your cortisol is going up, so you feel panicked, while at the same time hating yourself, because you’re not in control anymore. David: We did a one-day study that demonstrates what’s going on in the brain, that it is not just a matter of poor willpower, poor discipline. We took overweight and obese young men, and gave them one of two milkshakes on different days. This was done in randomized order, and double-blind — that’s hard to do in nutrition. You can’t do it over the long term, but you can do it with a single meal study like this, so neither the patients, or the scientist who is running the study on those days, knew which was which. They got one of two milkshakes, same calories, same protein, and fat, and carbohydrate, but in one case the milkshake had fast-acting highly processed carbohydrate corn syrup, so it’s a kind of sugar. The other had less processed, less refined carbohydrates, slow digesting, uncooked corn starch. It’s not the standard kind you get, it’s a special preparation. We gave them these two milkshakes on different days, same sweetness, nobody could tell them apart. We saw as expected that after the fast-acting carbohydrate, blood sugar and insulin levels shot up. A couple hours later, everything crashed. Then by four hours their blood sugar was actually lower after the fast-acting carbohydrate. All those calories get put into fat cells, they get locked away, and then the bloodstream runs out of calories. At that moment they reported feeling hungrier, so same calories, different hunger levels. Then we looked into the brain with something called functional MRI, a technology where you can actually see parts of the brain activating in real time. We saw one area light up like a laser. It was called the nucleus accumbens, which is part of what’s called the dopamine striatal pleasure and reward system. It’s considered ground zero for the classic addictions of cocaine, heroin abuse, alcoholism, smoking. It raises a provocative idea, that these highly processed carbohydrates that we’ve been eating so much during the low-fat years are hijacking these basic pleasure and reward systems, driving something that looks like food addiction. It’s one thing if your hunger centers of the brain are activated, and the hunger centers are one area near the hypothalamus, but if the nucleus accumbens jumps in, it’s really game over. Your ability to ignore your hunger and to exert discipline is going to melt, your weight goes up, but what goes down is your metabolic rate. The “all calories are alike” model ignores all of the these things that we’ve just discussed, all of these study findings from our group, from others. What it does do is stigmatize people, because if it’s all about calories in/calories out, then just eat a little less, move a little more. Anybody should be able to do it, and if you can’t there must be something the matter with you. You’ve either got poor willpower or poor discipline. Daniel: Let’s get practical. What are the things to do and not to do in your experience for people to begin to feel better, think better, look better? David: The basic concept is to accomplish two things. We want to lower insulin levels, and calm chronic inflammation. When you do those two things, the fat cells, which have been locked shut under the influence of these two metabolic problems, open up. The body floods with calories, and again the brain suddenly says wow, that feels good, I like this energy level. I can turn off hunger, turn off cravings, speed up metabolism. The fastest way to lower insulin and calm chronic inflammation is with a rich, luscious high fat diet. It’s all the foods we were told not to eat during the low fat craze. Nuts and nut butters, full fat dairy, rich sauces and spreads, savory proteins, real dark chocolate. This approach is really good for your waist. It leads to effortless weight loss without counting calories. It’s great for your heart. The PREDIMED Study had 7,500 adults in Spain. It was published in the New England Journal of Medicine in 2013, one of the world’s premier journals. 7,500 adults were put on either a standard low fat diet, or higher fat diets with loads of nuts, or olive oil. In the olive oil group, they got a liter a week, that’s like taking a bath in the stuff, that’s a lot of olive oil. It’s a nightmare from the conventional calorie in/calorie out model. Nuts and olive oil, these are the highest calorie foods we have around. They had to stop the study early, because heart disease, cardiovascular disease rates dropped so fast in the higher fat groups it would have been unethical to keep the control group eating the low fat diet. This should be the final nail in the coffin for the low fat diet. The brain is full of fat, it loves fat. It’s not to say that all fats are alike, and certainly trans-fats are the closest thing to poison in the food supply, they’re leaving the food supply. Saturated fats are being reassessed now. Daniel: They’re not all the same. David: They’re not. Chocolate, dark chocolate, the main source of calories is saturated fat, but it looks very good for the heart, it looks very good for the brain. Anyway, the program is a rich, high fat diet, these rich delicious foods, because fat is really tasty. Every chef knows that. That’s why we like to eat it. It turns out we like to do things that are oftentimes really good for us. These rich, high fat foods let you displace the processed carbs without craving them. Once you are able to displace these processed carbohydrates, the craving centers of the brain quiet down. These first two weeks of the program, this is Phase 1, we call it a boot camp for your fat cells, but not for you. It’s designed to very quickly lower insulin, and jump start these metabolic changes. Phase 2 we add back whole kernel grains, and we add back a little touch of sugar, so you can have sweet dessert if you want every once in awhile. Then in Phase 3 you get to mindfully reintroduce some of the more processed carbohydrates, but following your symptoms. We have symptom trackers, hunger cravings, well being, energy level, and the like. You see your tipping point. Some people can tolerate a fair amount once they’ve cleaned their metabolic slate. Other people, any amount is going to create a vicious cycle. For them, they’re going to have enjoyed the sense of control over their body, over their cravings, so much that the fleeting pleasures of these processed, industrial foods won’t stand up. Extreme diets may play a very important role for certain people, but for most of the population, you don’t have to go to that degree of restriction. Our philosophy is if you get the science right, then you get maximum benefit with minimum of deprivation. We don’t want to take away anything that isn’t absolutely necessary for you to make progress with your health, and your well being, and your body weight, but also this is really more about radiant well being than anything you measure on a scale. It’s reestablishing a connection to the body, listening to what the body wants. If we tune in, it will tell us. Daniel: This should never be about deprivation. It’s about abundance of taste. As you were just saying, fat makes things taste awesome. It’s also about abundance of energy and memory. What you eat matters so much, and it’s so exciting to tell people they don’t have to suffer in the process of weight loss. If you treat the source of the fever, like with aspirin, then you lower the body temperature set point, and guess what? Then you throw off your clothes, you start sweating, and your temperature declines naturally. You don’t have to work at it, your body does. If you treat the underlying drivers of weight gain, you lower the body weight set point. Your hunger decreases, your metabolism speeds up, and your body wants to get rid of those extra calories. You’re not going to be suffering. Daniel: I noticed in the book you’re a fan of full fat dairy. Some of my problems with it are 70% of the antibiotics in this country are actually not given to humans, they’re given to animals. My sense is we get those as well through the dairy we consume. They’re also given hormones, when you think of industrially raised animals. David: I think you raised a really great, and much broader issue, because this applies to all animal products. Animal products are going to concentrate environmental toxins. Fish accumulate mercury; people who eat a lot of tuna can have dangerously high mercury levels. In addition, farming practices raise a whole host of concerns for our health, and for our environment. Then many people have ethical concerns about eating animals. Some people want to limit it to industrial animals and say, “It’s fine if the animals are free range, and they have a relatively decent life while they’re alive. Then they die, and that’s part of the cycle of life.” Other people say, “You know what? I don’t want to contribute to that, and I want to be a vegetarian.” It’s not my role to take sides. We’ve provided meal plans that are applicable to the general public’s eating style right now. We also have vegetarian, and some vegan options. My wife did all of the meal plans and recipes. She’s a gourmet natural food chef. She, herself, was a vegetarian for many years, and still is very, very close to a vegetarian. It was important to us to have options for everybody. Some people seem to really not do well on dairy, so don’t eat it if you don’t do well on it. We want people to pay attention to their bodies. One size doesn’t fit all here. If you’re going to eat dairy, we strongly recommend full fat. The problem when you go to non-fat dairy, they don’t taste good, first of all. They’re much less satisfying. Look at the absurdity of the school lunch program, where a kid can’t get plain whole milk the way it comes out of a cow, but she can get fat-free milk loaded with sugar, we call it chocolate milk. It’s ridiculous, you’ll lose twice. David: The fats in dairy look pretty good for cardiovascular disease. If you take out the fat and you substitute sugar, that’s a serious problem. It’s representative of what we’ve done in this country for the last 40 years during this low-fat craze. A lot of cultures eat dairy as part of their tradition. What self-respecting Frenchman finishes dinner without the cheese plate? That’s not fat-reduced cheese, and it’s delicious, and they eat a little bit of it. It’s very filling, it’s satisfying. The bottom line is these are personal decisions. Daniel: In your experience with helping lots and lots of people, what are some of the tricks that people have told you, based on your work, that they found really helpful? Do you have a couple you could share? David: The first thing is you’ve got to put biology back on your side. Up till the last 40 years we have done the opposite. We have been missing the biology, and creating a battle between mind and metabolism we’re destined to lose. Once you start eating in a way that supports biology, everything else clicks into place on its own. The main thing is to be eating whole, natural, slow-digesting foods. For most people, that means much more fat than we’re eating now. It’s like an engine, where you get the carburetor to mix the air and the gasoline just right, and you get this really good burn, very efficient engine productivity. Same with humans, you get that right, and the body will take care of itself. You don’t need a lot of fancy tricks. People do need to make changes in their behavior. It’s not going to happen just by thinking of the right foods, you actually have to put the right foods into your body, and that means cleaning out the house, restocking with healthy food. Unfortunately, we live in an environment where the healthy options are oftentimes more expensive. But it’s much cheaper over the long term than the chronic disease they prevent. It takes some time; you have to cook. Daniel: There was a study at the Harvard School of Public Health that said if you eat in a really healthy way it will cost you about $1.50 more a day. It’s not terribly expensive, and people aren’t thinking about what being sick costs. What does not making good decisions cost me? What does the arthritis I have cost me? David: The low energy level, the brain fog, the subtle deterioration of quality of life — what does that cost you?